A few months or less a year later japanese food adorns many timelines. Previous greentea that became a hits, now the all-cheese food that became a prima donna. 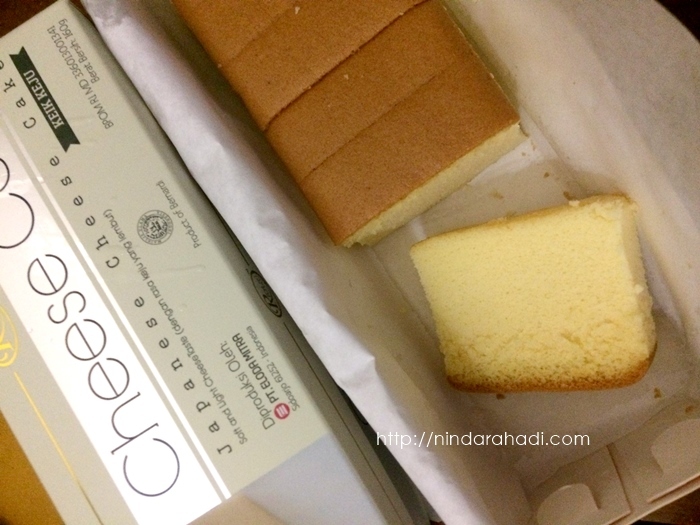 Cheese-themed food is cheese tart and Japanese cheese tart. Two of these foods in an instant become excellent. Different from the country of origin, both famous brands have not had branches in Indonesia widely. For me as a citizen of Malang city I can only bite my fingers when many vendors that resemble those two big vendors in creating two such contemporary products. As a cheese lover I am not strong also tempted to enjoy one of them. When I'm going to a friend's house, I pass the usual way but there are unusual from the way I used to. A blink of an eye I see there is a new store and if I do not wrong that is Bernardi Family Outlet. But because the road is a one-way traffic so I ignore the place first, the original even want to stop by.